Chocolate. Wine. 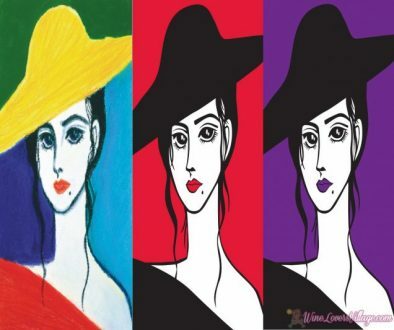 Both are pretty amazing on their own, but put them together, and the result is ooh-la-la, magnifico. 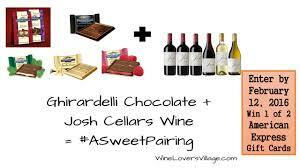 We recently discovered #ASweetPairing for Valentine’s Day (and really any day): Josh Cellar Wines and Ghirardelli Chocolates. At Ghirardelli, chocolate is as rich as their heritage. More than 160 years ago, enterprising Domingo Ghirardelli, who arrived in San Francisco during the California Gold Rush, founded and soon built a flourishing chocolate company. In 1867, one of the employees discovered something better than gold –a process for treating cocoa beans that enhanced the flavor, soon becoming an industry standard. The tradition continues with Ghirardelli creating products and packaging for the chocolate lover in all of us. Did you know that the higher percentage of cacao content, the more intense the chocolate flavor? Ghirardelli was also one of the first companies to include cacao content on labels to aid in the chocolate lovers search for the best chocolate. In 1867, one of the employees discovered something better than gold –a process for treating cocoa beans that enhanced the flavor, soon becoming an industry standard. The tradition continues with Ghirardelli creating products and packaging for the chocolate lover in all of us. Did you know that the higher percentage of cacao content, the more intense the chocolate flavor? Ghirardelli was also one of the first companies to include cacao content on labels to aid in the chocolate lovers search for the best chocolate. Ghirardelli was also one of the first companies to include cacao content on labels to aid in the chocolate lovers search for the best chocolate. 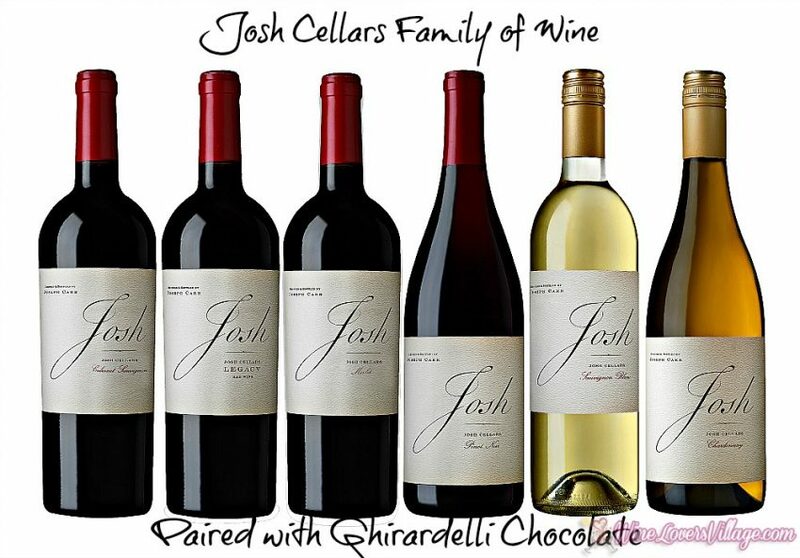 As American’s longest continuously operating premier chocolate manufacturer, Ghirardelli deserves a sweet pairing to an equally spectacular (and tasty) wine: Josh Cellar Wines. California vintner Joseph Carr’s line of Josh Cellars wine is named in honor of his father, a volunteer firefighter who also served in the United States Army. Josh Cellars offers bold, complex and approachable wines for drinking with family and friends. Sourced from vineyards across California, Josh Cellars offers six varietals: Cabernet Sauvignon, Chardonnay, Sauvignon Blanc, Pinot Noir, Merlot and a new red blend, “Legacy.” Josh Cellars wines are available at retailers nationwide. 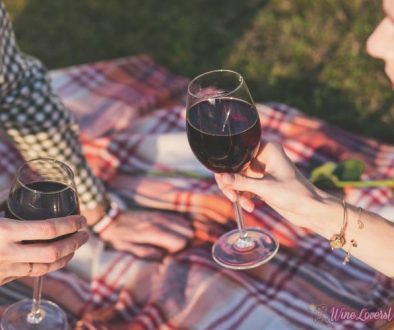 For your romantic evening whether Valentine’s Day or no reason at all, we’ve gone ahead and put together a few suggestions for Ghirardelli chocolate and Josh Cellars wine pairings. 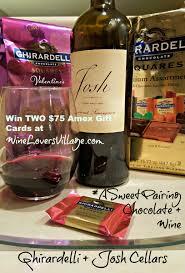 We can set the scene with chocolate and wine…the romance is up to you. Bright aromas of lime and citrus are the core of Josh Cellars Sauvignon Blanc with layers of white flower nectar, peach and tropical melon. 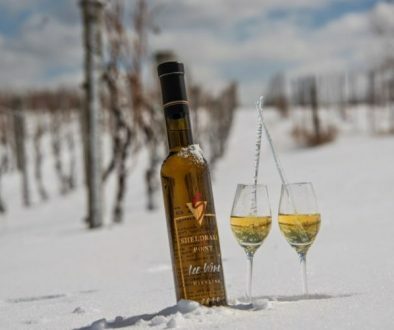 The palate of the wine is fresh and alive with clean flavors and a perfectly balanced, crisp finish. The Valentine’s Impressions Milk Chocolate goes well with the Suavingnon Blanc’s citrus notes. I personally liked the Milk & Caramel combination as the luscious filling played off the caramel without being overpowered by the sweetness of the milk chocolate. 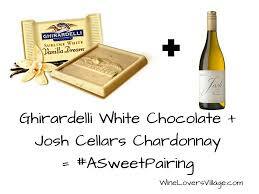 Let white chocolate shine when pairing with the crisp aromas and tastes of tropical fruits and citrus in the Josh Cellars Chardonnay with its subtle oak notes. The lingering fresh yellow and stone fruits mingle with each taste of Ghirardelli White Chocolate. Or go all out and serve White Chocolate Truffles (easy recipe!) Yeah, our mouth is watering too. You can also dip fresh fruit (hello strawberries) into melted Ghirardelli White Chocolate Baking Bar. Dark Chocolate should be a food group — don’t you agree. Imagine Josh Cellars Pinot Noir, its medium bodied, ripe, red fruit, lighter body and silky tannins. 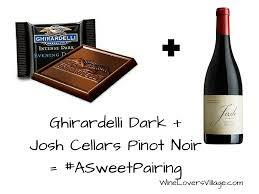 Rich flavors of both Dark & Mint melt into the Pinot Noir. Add a side of nuts to further enhance the flavor of the tannins. 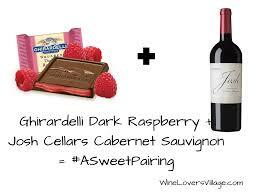 We know you’re going to LOVE this pairing. Big tannins in a Cabernet Sauvignon stand up to the semi-sweet bitterness of dark chocolate while the ripe, berry flavor of the Cab is brought out by the raspberry. The Josh Cellars Cabernet Sauvignon Blanc bouquet is rich with dark fruits, cinnamon, clove and toasty oak flavors. The wine is juicy on the palate with blackcurrant and blackberry flavors prominent, accented by roasted almonds, vanilla and hazelnuts, finishing long with fine, firm tannins. 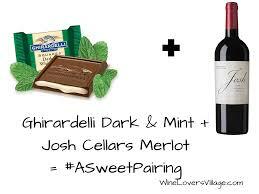 This is perhaps my favorite pairing – Josh Cellars Cabernet Sauvignon with the Ghirardelli Dark & Raspberry. The raspberry cream plays off the blackcurrant and blackberry flavors. The bouquet of Josh Cellars Merlot is complex with violets, sweet plums, rosemary, and vanilla bean. On the palate, the wine is velvety and soft in texture, with flavors of juicy plums, blackberries, and Bing cherries, and a long cocoa powder finish and fine tannins. Melt-in-your-mouth Dark or Dark Mint Chocolate Gharardelli is your perfect pairing. Take a sip of the Merlot; allow it to sit on your tongue to saok in the flavors; and let the chocolate literally melt in your mouth and mingle with the juicy Merlot fruit flavors. 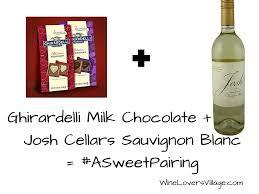 Disclaimer: WineLoversVillage.com & Diana Rowe are happy to participate in the #ASweetPairing campaign and compensated to do so. Opinions expressed remain our own.